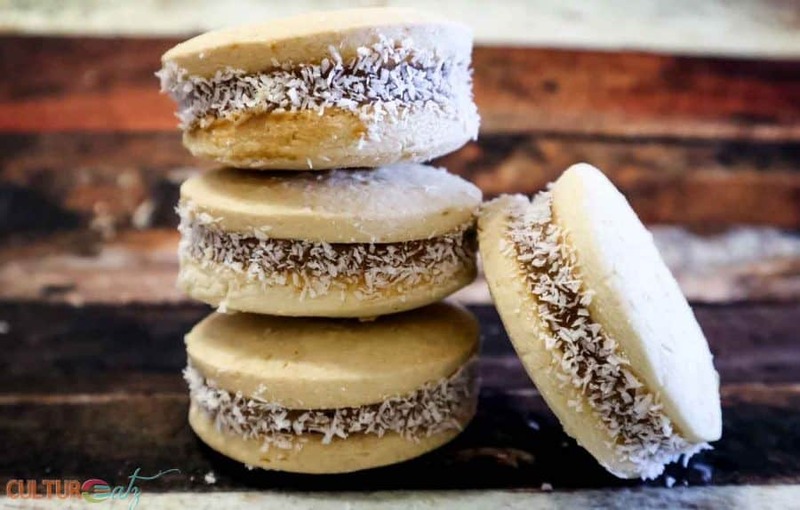 Have you ever tried Argentinian Alfajores? These Dulce de Leche Sandwich Cookies are heaven and a gift from the Gods! Check out the recipe and bonus: learn to make your own dulce de leche. 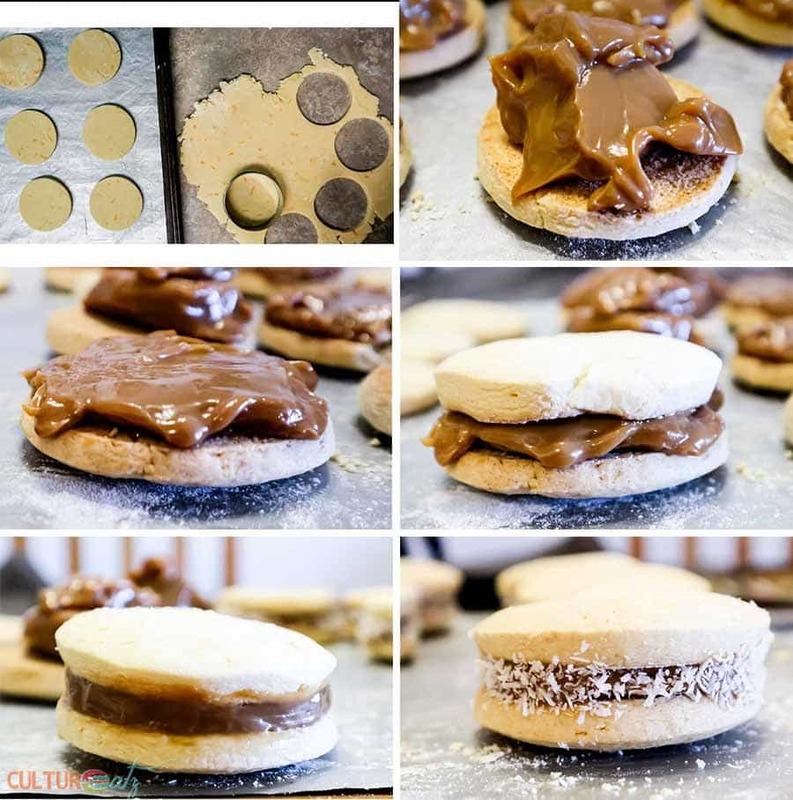 I have a vivid memory of my first Alfajores cookies, the most amazing Argentinian dulce de leche sandwich cookies you could ever savor. It was only a few months ago but I was blown away but how delicious they were. Anything made with dulce de leche is top notch, in my humble opinion. When I was researching Argentinian recipes for this month’s Eat the World I discovered these were one of Argentina’s traditional food delicacies. Of course, I had to make them for my blog, no question. The large and long country of Argentina is located on the South American continent and is bordered several countries but only one body of water, the Atlantic Ocean. Buenos Aires, the capital of Argentina, is a fun and colorful urban destination with lots of cultural activities. Besides other wonderful cities to visit, the country is famous for natural wonders, such as glaciers in the Patagonia region, the Ibera wetlands, Nahuel Huapi National Park, and Iguazu Falls. Many would be surprised to learn that Argentine cuisine is a mix of Mediterranean influences, like pasta and pizza, as well as Indigenous and Criollo dishes, such as the Argentinian empanadas recipe, locro, humita, and mate. The Argentina beef is world famous and Argentinians are huge red meat eaters. Argentina’s national dish is called asado, an Argentinian grill plate filled with various types of meats, often including chorizo, blood sausages, sweetbread, and chitterlings. 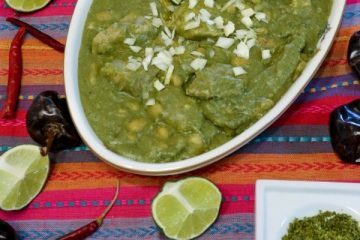 You will find many wonderful Argentinian steak recipes and it is often accompanied by an Argentinian chimichurri recipe which is a sauce made of herbs. Also making up Argentina’s famous food is breaded and fried meats enjoyed in sandwiches or as a snack. Desserts often include a milk toffee spread known as dulce de leche – dulce de leche cake, dulce de leche cheesecake, dulce de leche cookies, dulce de leche ice cream – as well as pastries and tortas fritas. And let’s not forget the famous Argentinian wines made with Malbec, Torrontés, Cabernet Sauvignon, Syrah, and Chardonnay grapes. A touch of orange zest really gives a refreshing punch in the cookie’s flavor profile. So what are alfajores exactly? The word alfajor, an Andalusian word, actually comes from the Arabic word al- fakhur, which means luxury. Around the world, Alajur is often made of a paste of almonds, nuts, breadcrumbs, and honey. In Spain, they are transformed into sandwiches with two round cookies held together by a sweet filling. Now Argentina’s dessert recipes must have their own twist. You may see them called Alfajores de maicena. Maicena means cornstarch. These cookies are made with a mix of cornstarch and flour, and lots of butter. The dulce de leche sandwich cookies are like shortbread cookies but with a soft and crumbly texture. The cornstarch in the cookies is where the crumbly texture comes from. 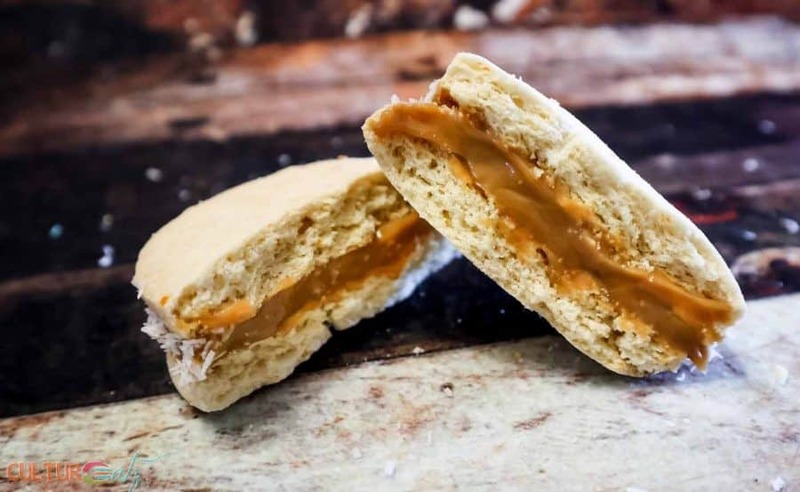 And in Argentina, the filling of any Alfajores recipe is usually a dulce de leche filling. Alfajores are the most famous sweets in Argentina. They are one of my favorite cookies from around the world. Just like shortbread, the more you work the dough, the tougher the cookie will be. So we want to mix in the flour mixture to the fat with as little manipulation as possible. The flour is added in thirds, the first two and done with a mixer. The last one is added gently by hand. Next, if you are not working with the dough or part of it, keep it in the fridge. This will help to keep the butter cold and the dough easy to handle. Also, we are looking for a decent thickness for the cookies, around 7 to 10 mm. Make sure to not over-bake the cookies. The cookies will remain pale in color, we are not looking for a golden color here. In case you do not know what is dulce de leche, let me give you a quick explanation. Dulce de leche is caramelized sweet milk and it is achieved by simmering it for a long time over a low heat. So is it a caramel? No! Dulce de leche vs Caramel: dulce de leche is made with (often condensed) milk and sugar. It differs from caramel which is cooked down water, heavy whipping cream, sugar, and butter. Did you know that there is more than one type of dulce de leche? 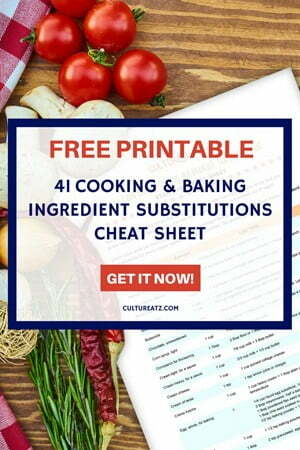 I had no clue until I read up on this recipe. The standard dulce de leche recipe will have a heavy sauce consistency. But for these cookies, we need a filling that holds up to being sandwiched. Meet the baker’s dulce de leche, a thick dulce de leche that holds its shape. Outside of Latin America, it may be hard to find a place where to buy dulce de leche, the bakery kind. 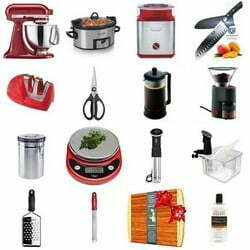 But it turns out it is super easy to make at home, as long as you follow a few safety precautions. The instructions are in the recipe below but I cannot place enough emphasis on 2 safety measures: never have part of the can of condensed milk sitting above the water level and never ever open the can until the insides are cooled down completely. Not even if just a bit warm. Both cases could result in the can exploding. 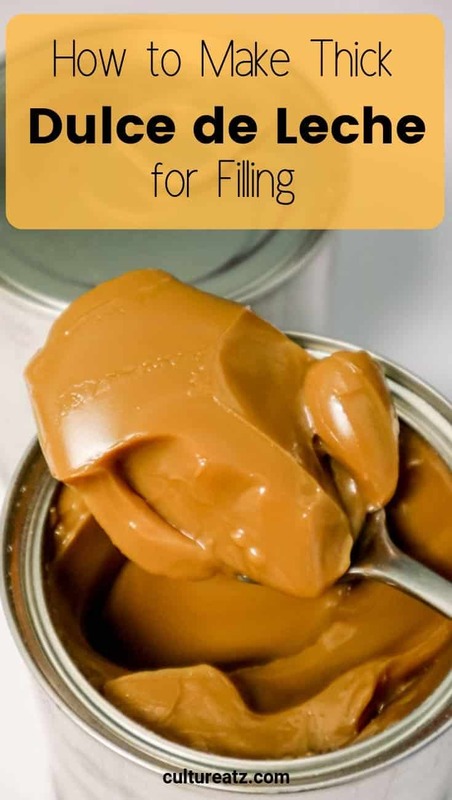 If making your own dulce de leche, the day before baking remove the paper wrapping on the cans of sweetened condensed milk and place the cans sideways in a large pot. Fill the pot with water until at least 1 inch above the cans. Bring the water to a boil and lower to a simmer, cooking them for 3 hours. Put an alarm on every 30 minutes and check the water level and add water to top off as needed. NEVER let the water level fall below the can level as the cans could explode. After 3 hours, gently remove the cans from the water and leave the can to cool 100% completely (overnight best). Opening them before could again result in an explosion. Mix the cornstarch, all purpose flour, baking soda, baking powder, and salt in a bowl. Set aside. In a mixing bowl, beat the icing sugar and butter together. Add in an egg yolk at a time, beating well after each addition. Finally, mix in the vanilla extract and orange zest. Add 1/3 of the flour mixture and mix until just combined. Repeat the process for another 1/3 of the flour mixture. Place remaining 1/3 of the flour mixture on the counter and place the dough on top. Gently fold the mixture onto itself and gently press the dough with your palm. Continue until the dough has absorbed the remaining flour. The less you handle the dough the softer to cookies will be. Wrap the dough with cling film and chill for 30 minutes in the fridge. Preheat oven to 180 C (360 F). Take 1/2 the dough and place the other half back in the fridge. Roll out the dough to a thickness of 8-10 mm. Cut out circles using a 4.5 cm or 6 cm diameter cookie cutter. Place the circles on a greased and floured baking tray. Place the baking tray in the fridge and repeat with the 2nd batch on a 2nd tray. The smaller cookie cutter will give you 24 cookies (48 circles) and the bigger cookie cutter will give you 18 cookies (36 circles). Bake for 10-12 minutes or until cooked but the cookies should not become golden. Cool in a rack. Alfajores assembly: with the bottom facing uptake, spoon a good amount of dulce de leche on it and spread it with a knife right up to the edge. The dulce de leche should be the same height as the cookie. Top with another cookie like a sandwich lightly press. Run a clean finger around to smooth out the filling. Roll he sides of the cookies coconut flakes to cover the dulce de leche. Repeat until all the cookies are done. Check out all the wonderful Argentinian dishes prepared by fellow Eat the World members and share with #eattheworld. 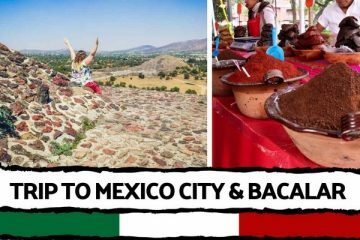 Click here to find out how to join and have fun exploring a country a month in the kitchen with us! These sound amazing!!! 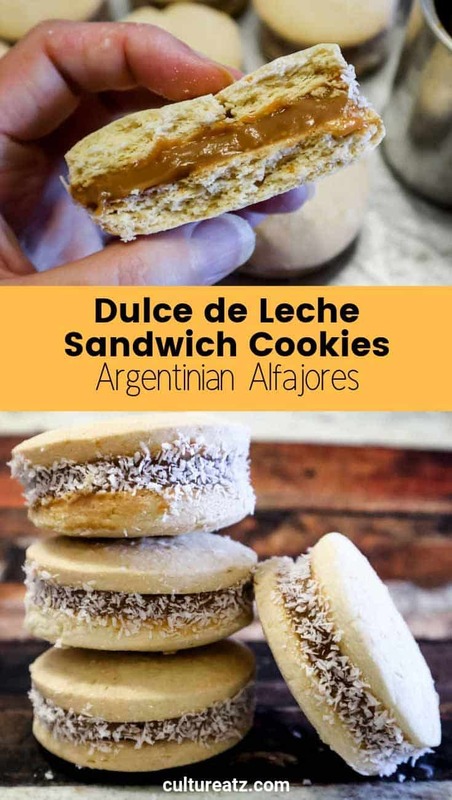 I love dulce de leche so I need to try these. Dare I say, these are in the top best cookies in the world! You will love them. They might be the best cookies in the world !?!?!? Damn, why did I not think to eat them that way lol. Oh these look so good! That dulce de leche…I'm swooning! IMAO, anything made with dulce de leche is out of this world!! I've never ever tried those cookies before, but I assure you I will try them soon. Pinned for future reference :). I think dulce de leche could be a currency in a utopian society lol. You will love them, might become you fave cookies ever! Wonderful cookie! I've never made these, and have only had them maybe twice in my life. They're good! So why haven't I made them? Maybe because I've been waiting for your recipe. :-) Good stuff -- thanks. LOL well now you have no excuse, the recipe it here, what are you waiting for ??? Man, that close-up photo of the dulce de leche looks delicious - I want to lick that spoon! I can imagine how hard it is to make these cookies without seriously depleting the dulce de leche stock before finishing it. (I need to try your method for making it.) What a great finale to our Argentinian feast! Thank you so much Margaret. I did make an extra can of dulce de leche, in case of such a craving emergency :-), so glad you like the cookies! Argentinian food is not something I encounter too often but I know there are restaurants around here that I need to check out and chow down on. I totally feel like I am missing out. And that dulce de leche center has meeeee jonesing a few of these babies! Well they are PRO MEAT so you would be ok with that lol. dulce de leche donutting! One of my favorites! 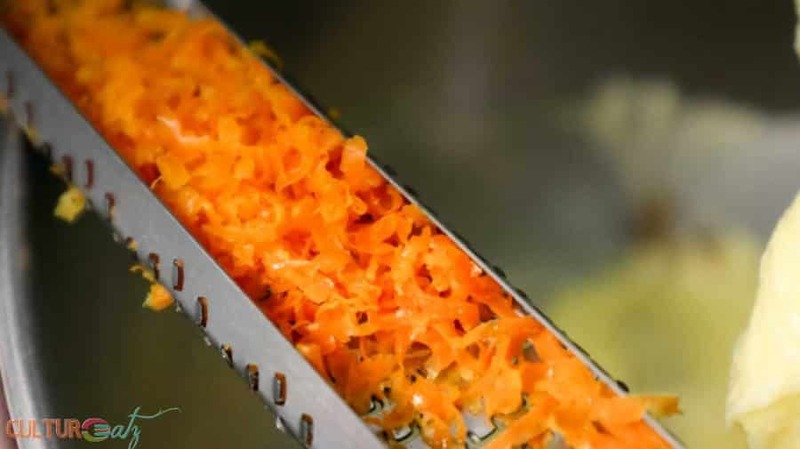 I love your addition of orange zest. I am drooling over that dulce de leche filling! So darn good, these sandwiched cookies, Evelyne. I can't believe it took me all this time to make dulce de leche. I will never go back to any other. Thank you Angie! These are some amazing looking cookies Evelyne. LOVE Dulce de Leche. Thanks so much for hosting this fun group. Thank you so much Wendy! I might unfriend anyone who does not like Dulce de Leche lol! You topped off our feast with a yummy dessert! I almost made those cookies, as I have had dulce de leche in a jar (from making it for an unremembered last use) in the fridge for awhile now. It keeps forever, luckily. Yes dulce de leche does keep for a long time lol. Glad to be the sweet ending to the month! 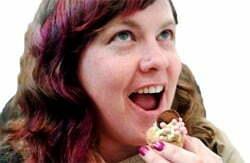 If it was my turn and not Loreto's I would have made alfajores! Yum! They look absolutely perfect and I would start eating the sandwich by first licking the dulce de leche all around :-) ! LOL really! it would have been fun to compare alfajores. These are dangerous cookies indeed with the dulce de leche. Lots of spoon licking was involved. I have read about the can dulce de leche method and just never tried it. 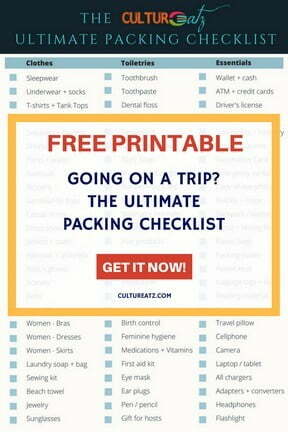 I might have to now. Thanks for the inspiration, Evelyne. OMG Camilla run to the store to condensed milk cans and do a whole bunch, so good!